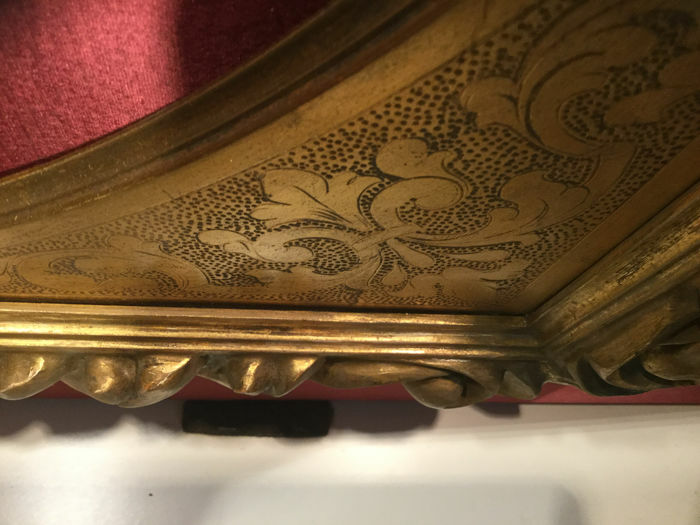 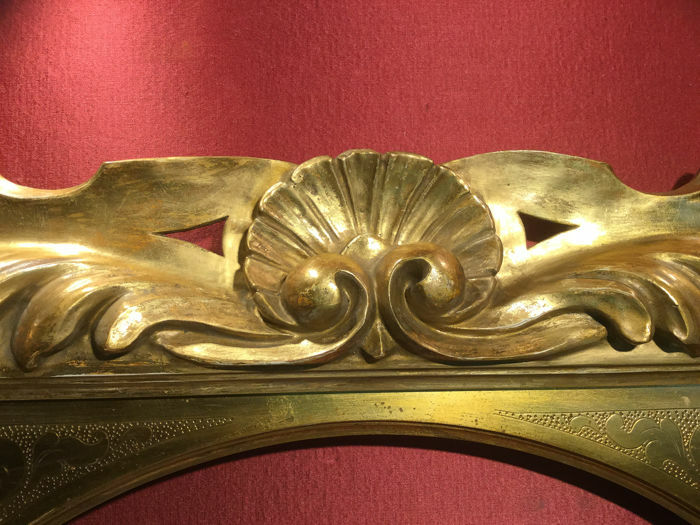 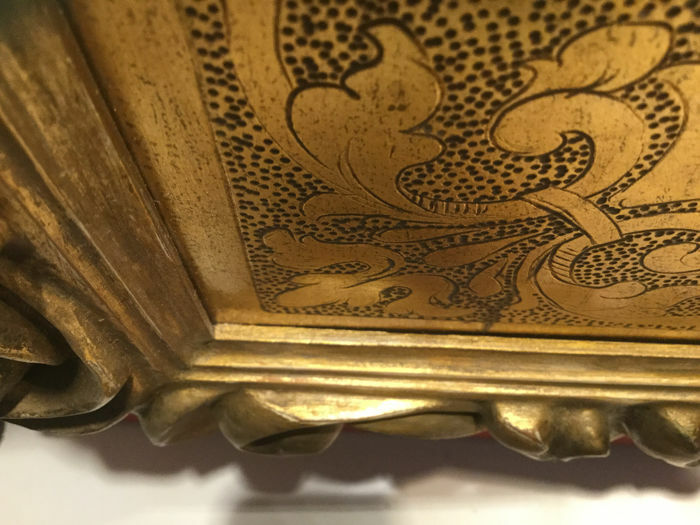 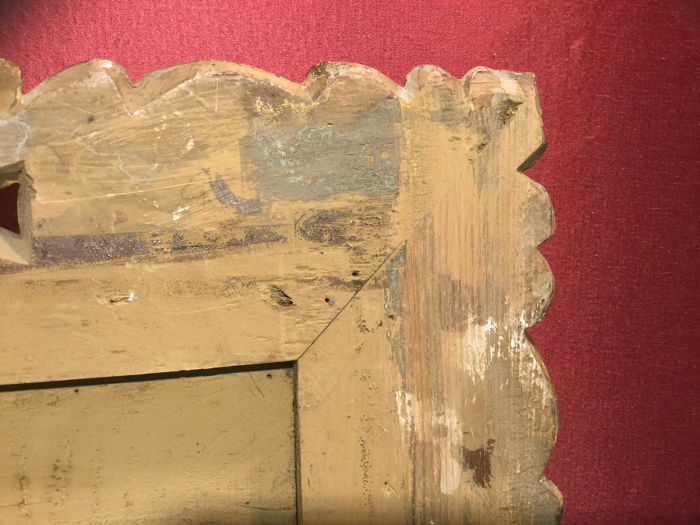 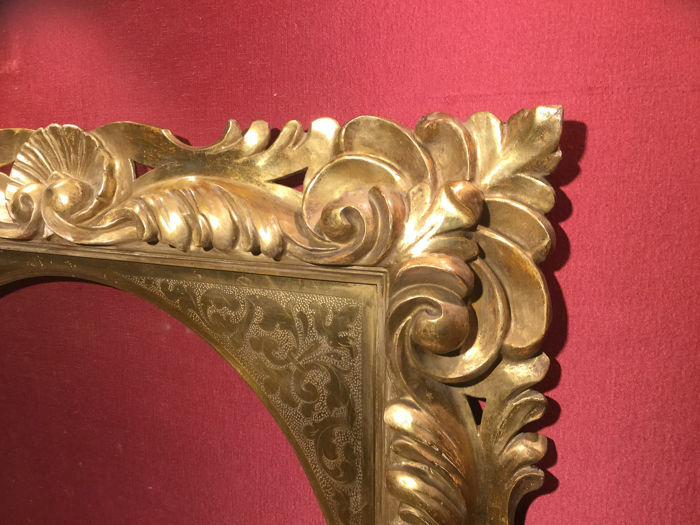 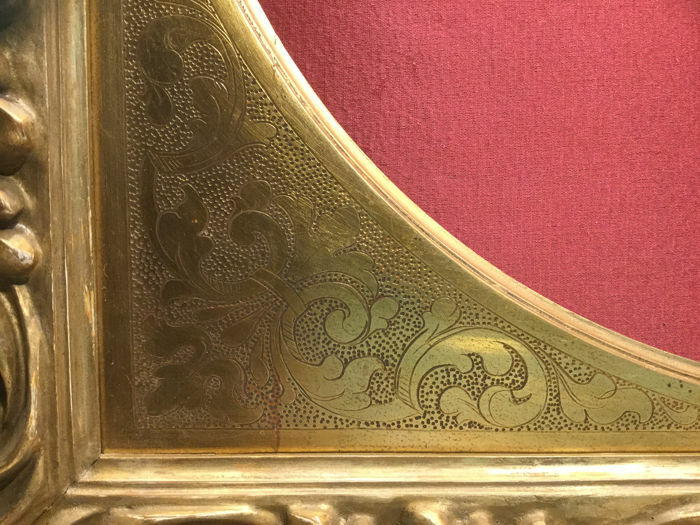 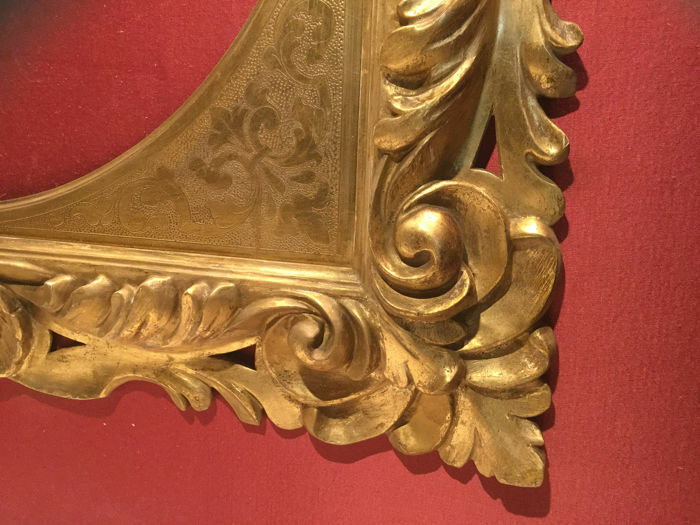 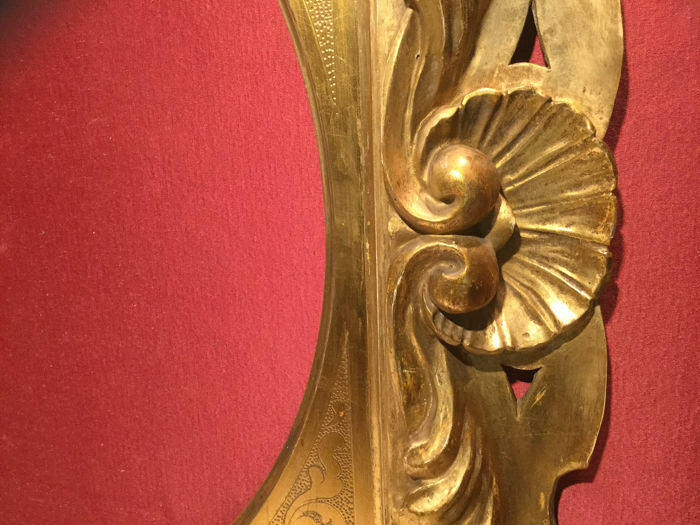 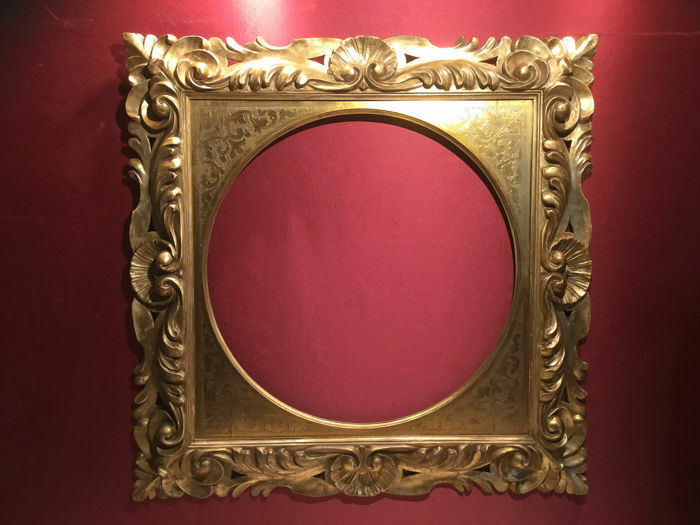 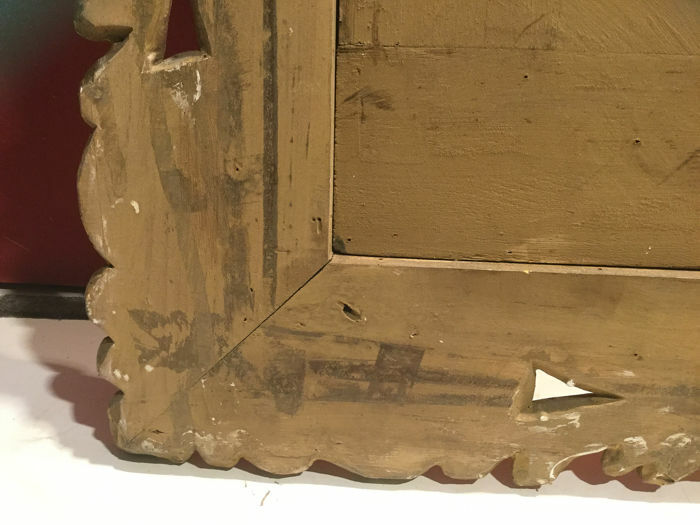 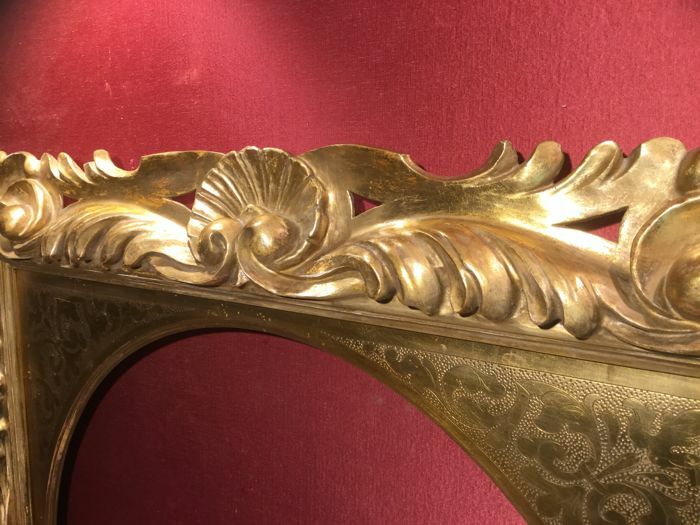 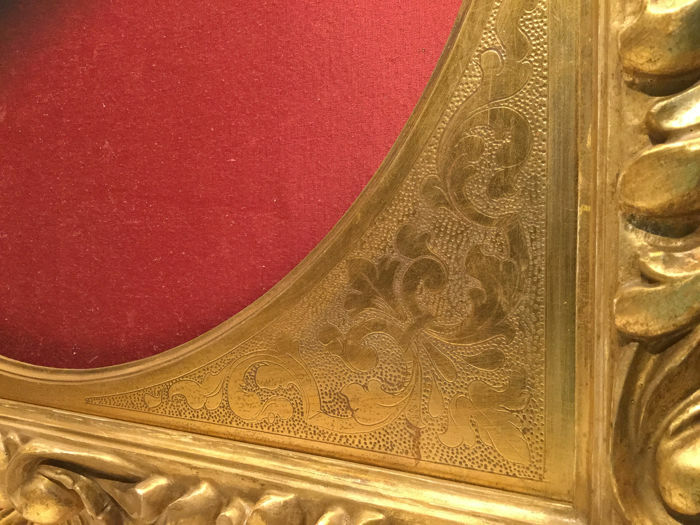 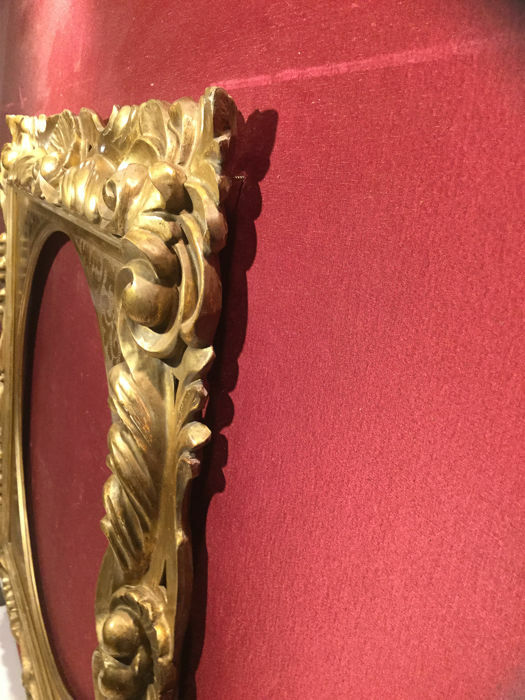 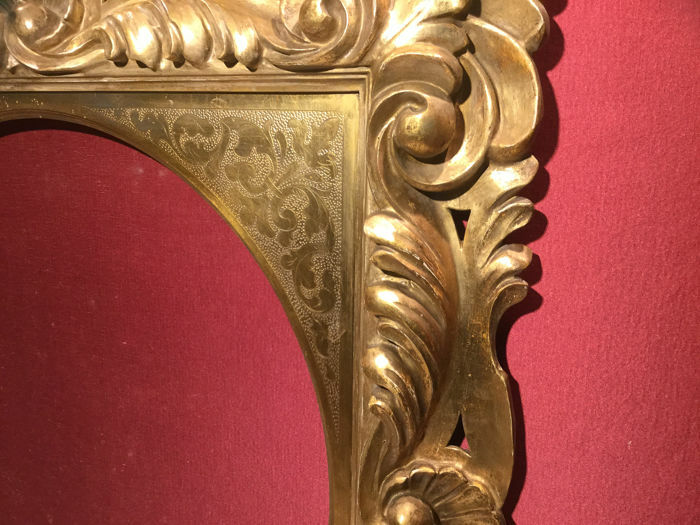 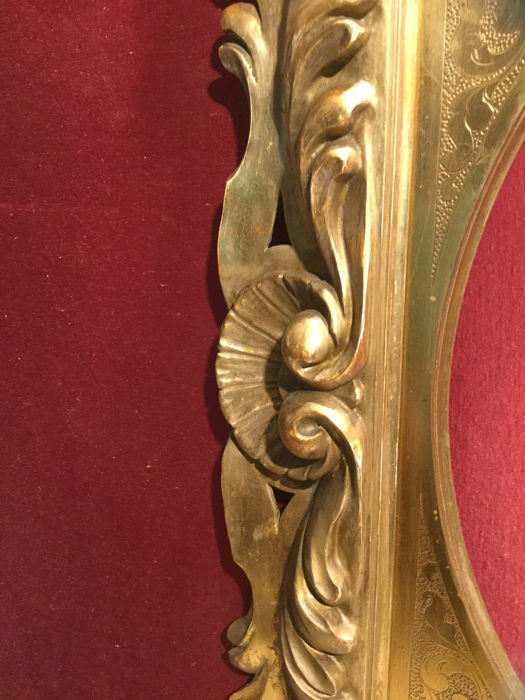 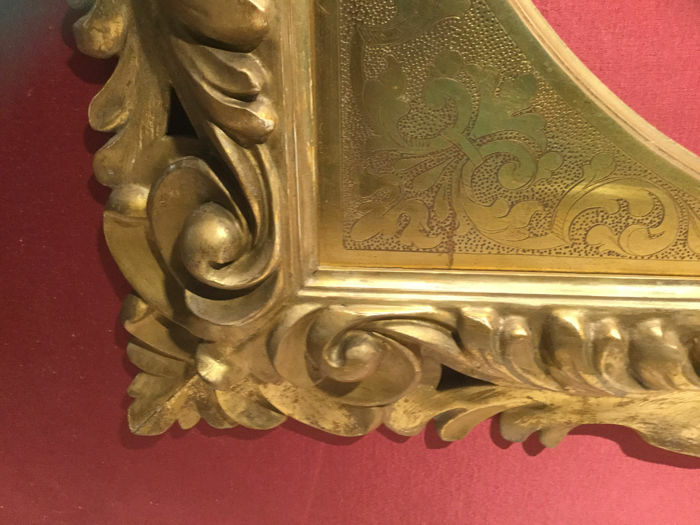 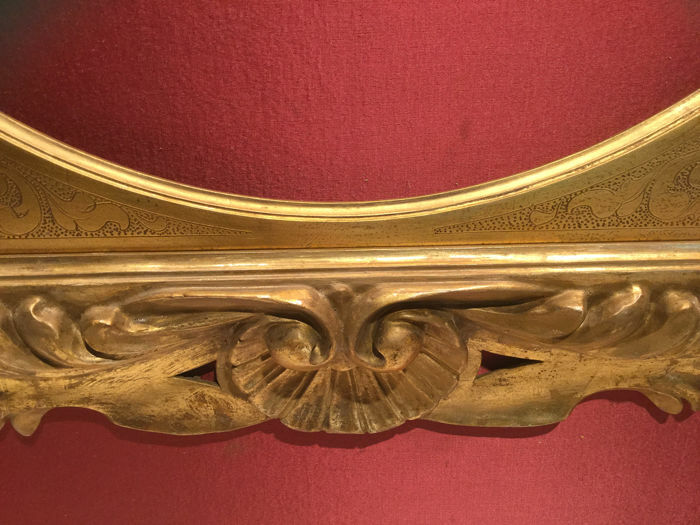 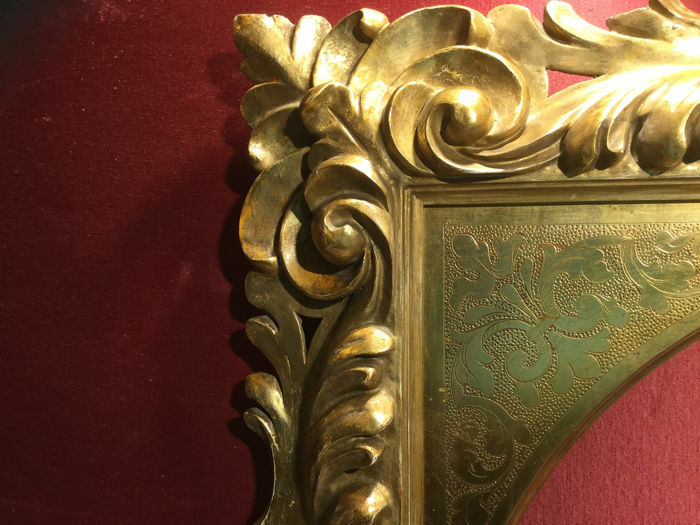 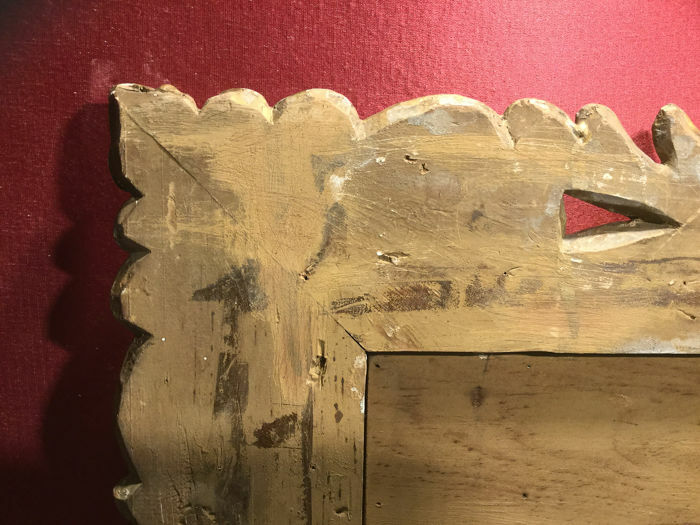 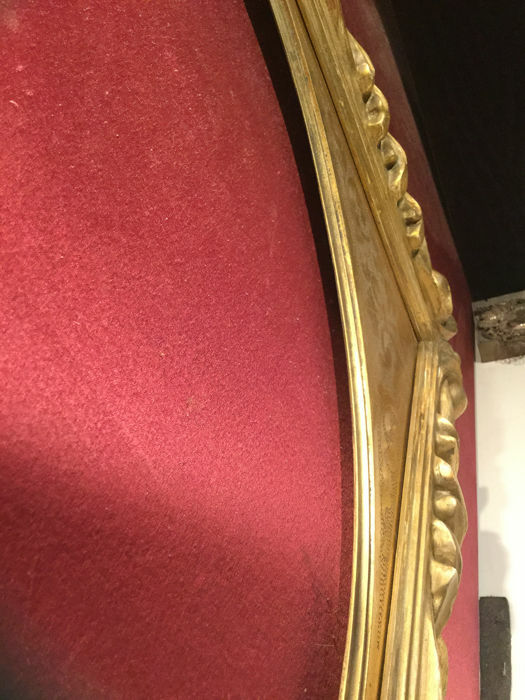 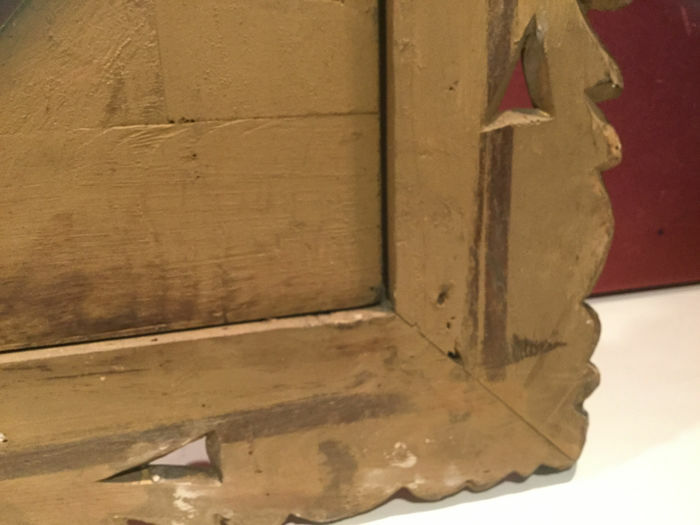 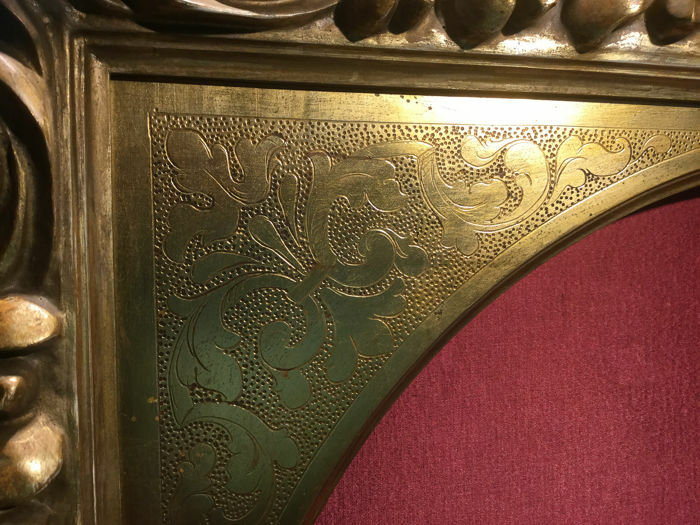 Large-sized square frame carved in wood and gilt with pure gold leaf. 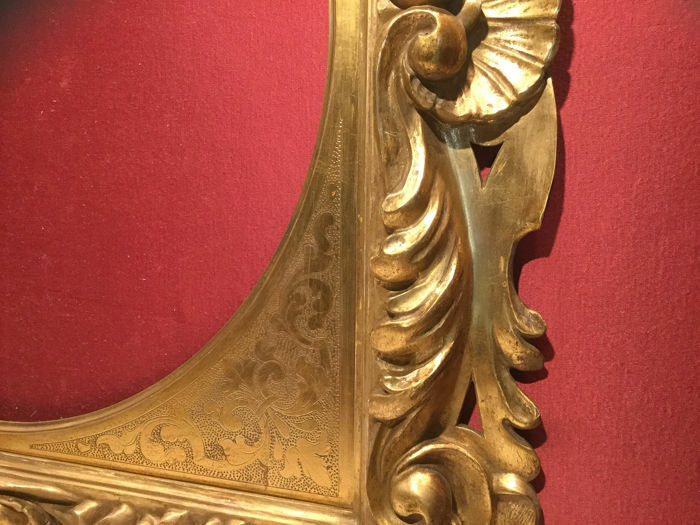 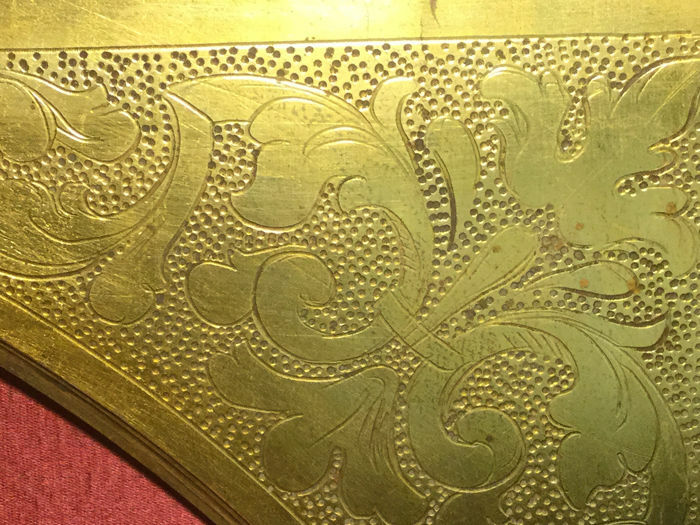 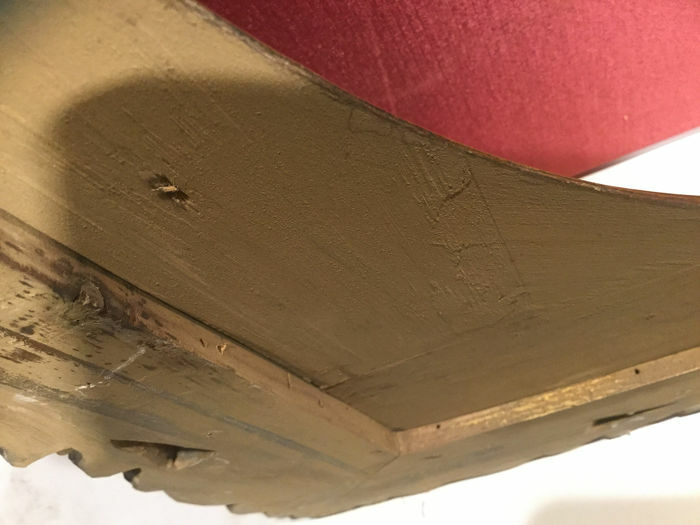 The passe-partout is made of wood gilt with pure gold leaf, with rich burin decorations. 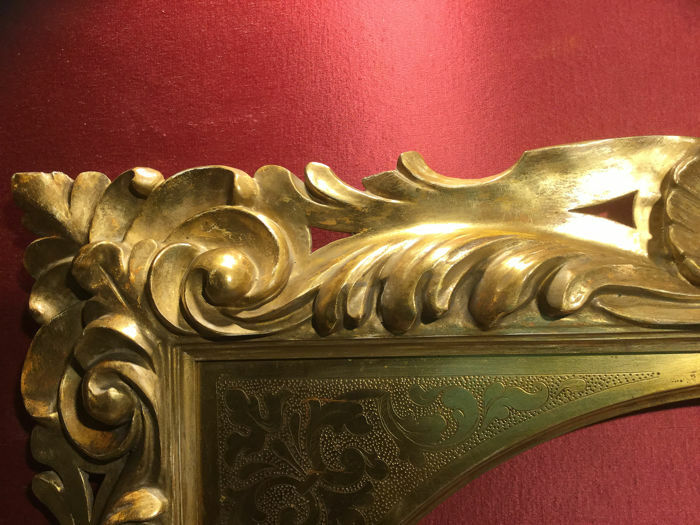 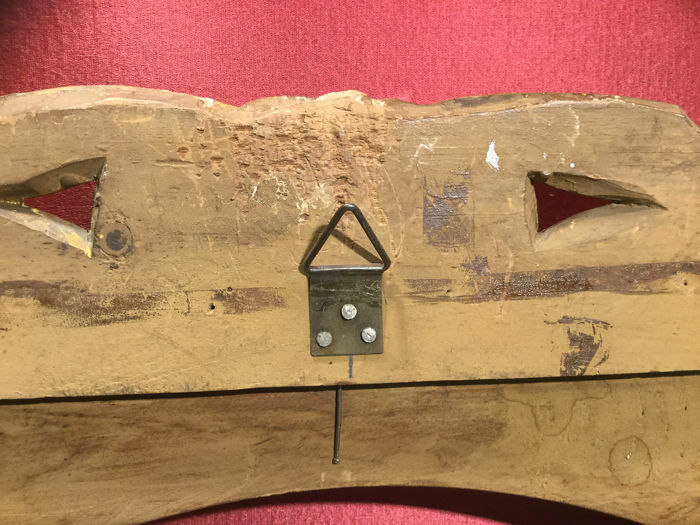 Italian handcrafted product of great craftsmanship of the second half of the 19th century, in excellent condition. 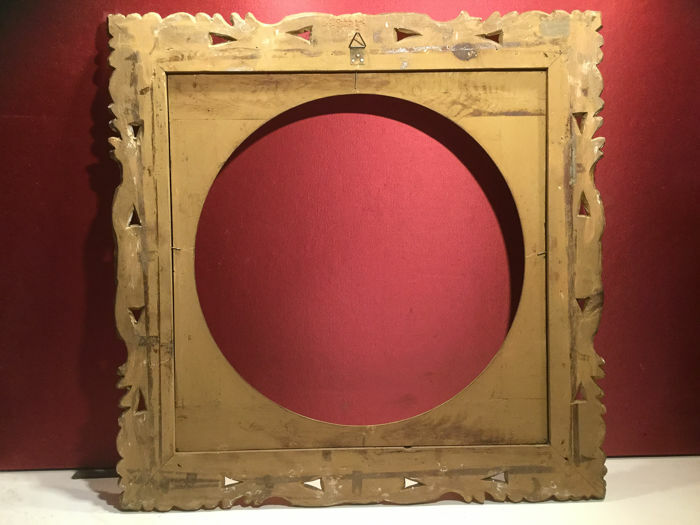 The inner diameter is 49 cm, the frame without passe-partout has an inner space of 55 x 55 cm. 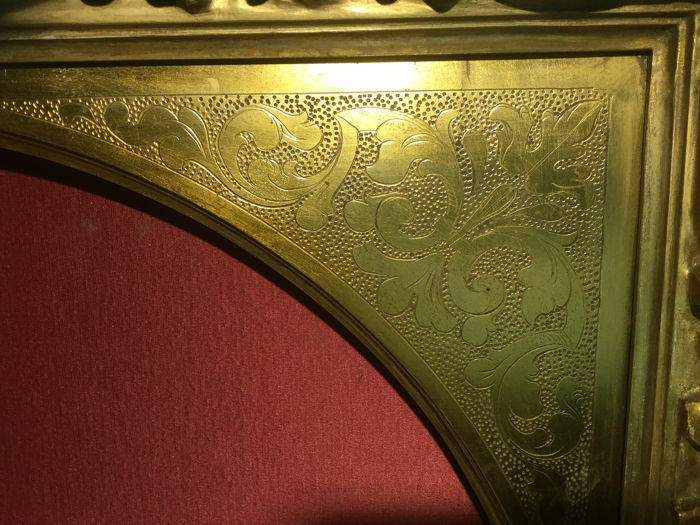 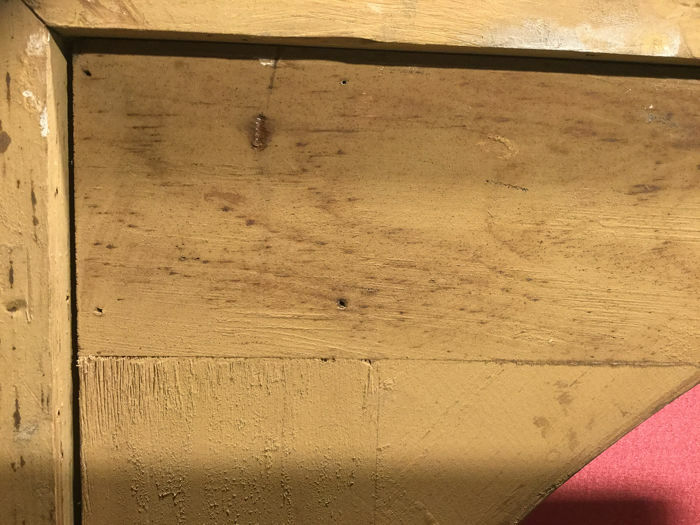 U kunt dit kavel ook ophalen bij de verkoper: Romano di lombardia (Bg), Italië.